I originally released this print in 2007 after Hurricane Katrina. During my recent trip to New Orleans I came across my stock of these posters, and thought it would be great to (a) get them out of my house and into yours and (b) once again invoke the Creole goddess Nola to help areas effected by hurricanes. Between now and the end of 2012, 50% of all proceeds will be donated to the Red Cross to help with Hurricane Sandy recovery efforts. Signed prints can be ordered in my Etsy shop now! 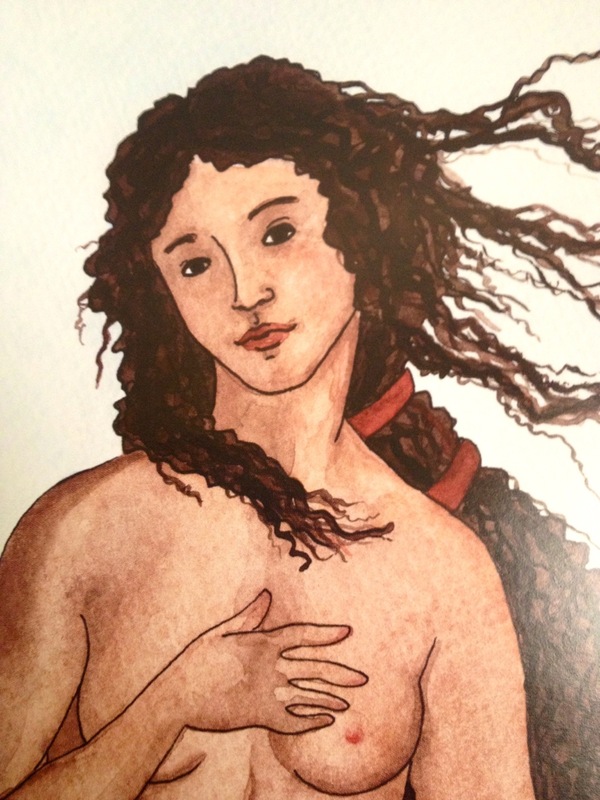 The print is of an original painting I created with watercolors and ink. 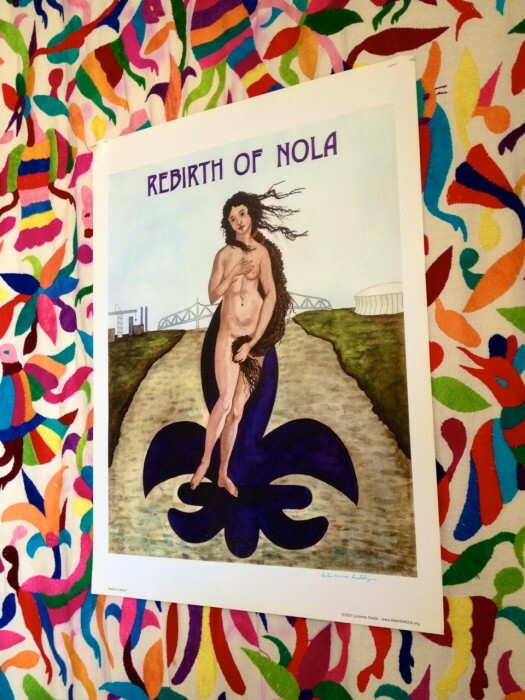 It’s a twist on Botticelli’s Birth of Venus, updated for the Louisiana Renaissance. 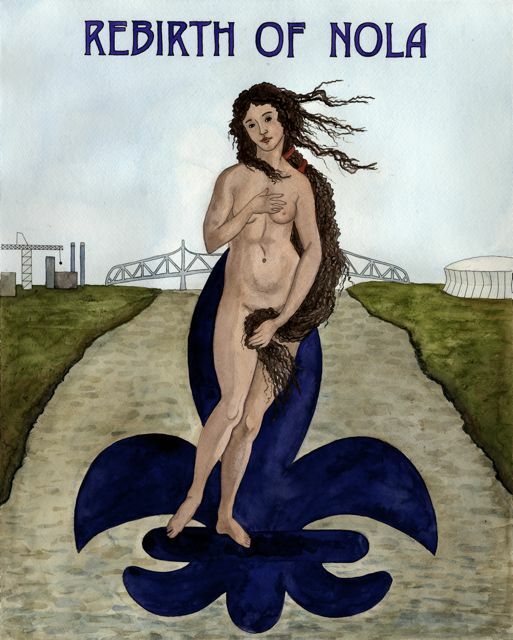 The Creole goddess rides down the Mississippi river on a fleur de lis with New Orleans in the background. 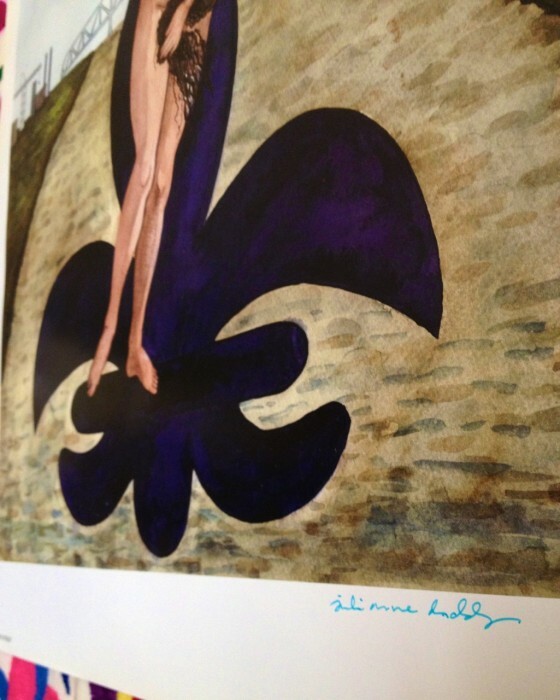 The posters were printed in Louisiana using paper from a local mill! Buying local means making local, and putting your money where your mouth is. Please consider ordering a print for yourself, and help spread the love!